Designed in the intense conditions of Alaska, Xtratuf Deck Boots are tough enough to keep your feet dry no matter how screwy the weather gets. 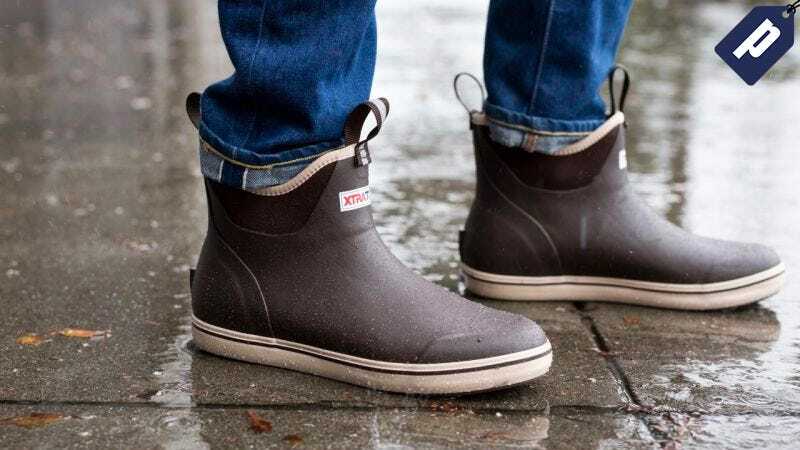 Now, these lightweight and city-ready boots (from $60) are 25% off so grab a pair today and be prepared to battle any weather. Choose from multiple styles and colors and never worry about puddles again. Snag a pair for as low as $60 today.